Rangefinders calculate the distance between the rangefinder itself and an object. Laser Rangefinders have many different uses and applications and have become necessary equipment for different types of people specializing in different activities. Fact is that everybody that uses a rangefinder knows how easy they are to use and how beneficial they can be, although the actual dynamics of laser rangefinders and how rangefinders work is understood very little by those who actually use them. Rangefinders seem like quite confusing contraptions at first, but once you have an understanding about how rangefinders work, you will find they are quite simple. Laser Rangefinders use an invisible, narrow laser that is pointed at an object to determine the distance it is from the user. The laser beam is then reflected off that object and back to the laser rangefinder instrument. The rangefinder then uses a super high speed clock to determine the amount of time it took for the laser to bounce back and then uses a mathematical equation to calculate the amount of distance between the rangefinder and the target object. The whole process is called “Time of Flight” in scientific terms. Actual ranges in the field will most likely be different that what it says on the box. With a high end rangefinder like the Swarovski, the range will be consistently greater than the cheaper brands. meters to up to 25 kilometers, and quite possibly much further if the investment warrants it. 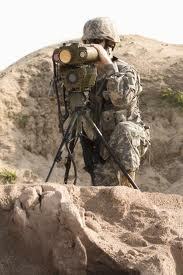 Generally the super long distance rangefinders are built for military purposes and used by snipers and artillery units. The typical rangefinder the average person will have the ability to use will range considerably less than what you will get out of the military issue models, but that is okay because the average person will not need near the capabilities. For most people 1000 yards will be more than enough range to get the job done. Most laser rangefinders available to the public these days are rated to range in excess of 1000 yards. Though a particular rangefinder may say it is rated to a certain distance does not mean that is what you will get out of a rangefinder. The maximum distance rangefinders will work will be dependent on the intended object’s reflectivity and the current conditions. The maximum rated distance is what most manufactures put on the box and is figured in ideal conditions on a reflective object. On deer sized animals, you will be lucky to get 75% of the maximum range and less than ideal conditions will drop the effective range even more. This discrepancy is less with the more expensive models and greater with the less expensive models. 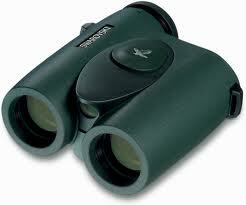 The upper end rangefinders offer superior optics, good enough to sub as you binoculars if you leave them behind. 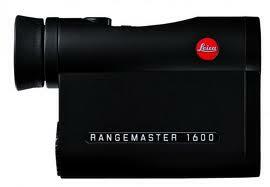 Most rangefinders will offer magnification of some sort in the form of a monocular (some are available in a binocular). The magnification typically ranges between 5 and 8 power. The quality of the optics will vary with the quality of the rangefinder, and again the more expensive models offer far superior optics clarity and magnification than do the cheap models. Quality and price have a direct relationship with each other when dealing with any sort of optics. Laser rangefinders are no different with price going up with increases in quality. There is also a noticeable difference between the low quality and high quality, and with laser rangefinders you definitely get what you pay for. That is why it is important to buy the best laser rangefinder that you can afford so there are no regrets. 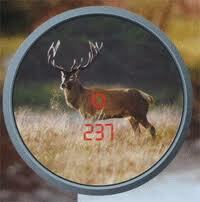 Military issue range finders are capable of ranging distances of 25 kilometers and even more. The size and price put these well out of reach of most civillians. Laser rangefinders are extremely accurate. Most will guarantee accuracy of plus or minus 1 meter. That is more than close enough for the average person and their needs, but this may not be good enough for commercial engineering or military use. For this, it is better to use GPS range finding techniques and triangulation equations. Rangefinders have actually been around for quite a while; clear back into the 19th century. Laser rangefinders in particular, being not nearly as old, have only become popular to the average person in the last 20 years or so. They have been used by commercial and military operations for some time now, but these models were typically too big and heavy, and way too much for the average person to use on a day to day basis, not to mention they are much too expensive for the average person to afford. Now That You Know It All! It is something I have to do more research into, thanks for the publish.